So, my app says no updates for 5 days? Really? Nothing, nothing at all happened in 5 days? If you don’t want to have a decent online presence, then don’t, cause what you have is terrible. Horrible and costs twice what the ad says. Clearly says $12.99 but then try to download and it wants $24.99 per month. App rarely works. Need to delete and reinstall every single day for login issues to work. Save your money and read every article for free online. I am being charged monthly for this subscription and The Oregonian has no record of these payments for March and April, (March is when I downloaded this app). Where does my money go? Can’t seem to find anywhere I can ask. Though I have a subscription, the app will not allow me to log in. I’d cancel my subscription but for my wife wanting to keep it. For some reason, the app works on her iPad but not mine. This is truly the worst app I’ve had the misfortune to try to use...by a fair distance. 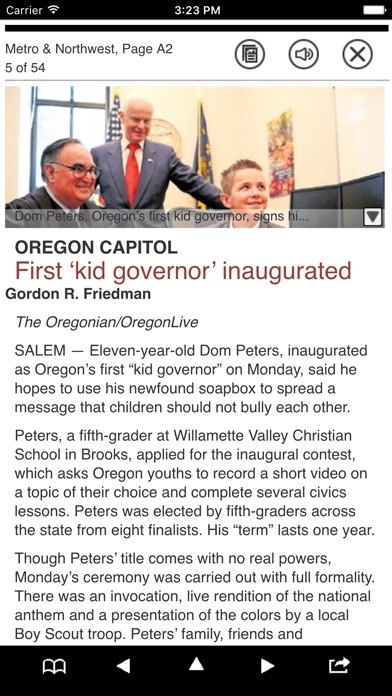 The Oregonian used to be a great paper. 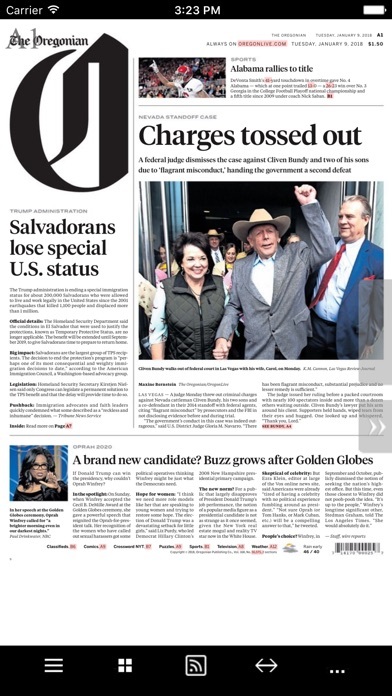 The digital and print versions are just a shadow of the original paper. The national and international news is pretty sketchy and they repeat articles too frequently. They kept raising prices and reducing the news, we finally just cancelled our subscription. Neither the app nor the browser version works well. I can’t toggle between pages in The various sections, they just come up blank. Trying to print the Times crossword gives me half the puzzle grid. ALL WORKED WELL UNTIL A FEW DAYS AGO. The IT department needs to revamp the whole online edition! I called the customer service number, but no help there and they couldn’t give me a number for further help from IT. 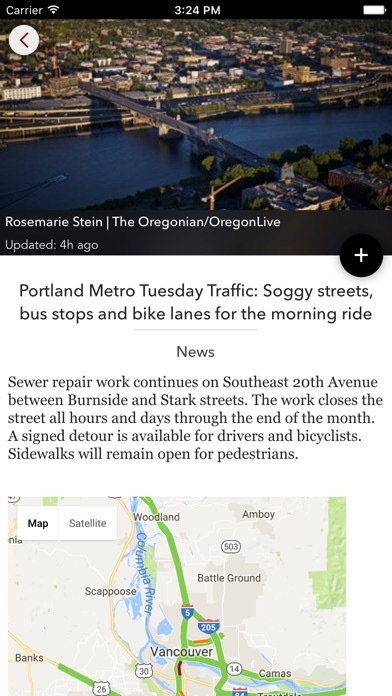 The vendor that provided the Oregonian with this app has no clue how to write good code. It doesn't remember where you were. Signing on is virtually impossible. The error messages are so cryptic you can't understand them. If you are looking for a good "paper reader", forget this. The only reason I'm still trying is because I live in the metro area and want some local news. Terrible app. The process of reading the electronic edition of The Oregonian is not at all a natural process. You must proceed through a maze of icons to get to different sections of the newspaper, e.g., the sports section. It takes 3 clicks to get to a section from the home page. Whoever designed this app was probably also testing the Oregon Canabis at the same time. In addition, The Oregonian as a newspaper really isn't worth wrapping old fish remains in it. For a newspaper that serves the Portland metro area and claims to provide news to the entire state of Oregon, it lacks in substance and objectivity. 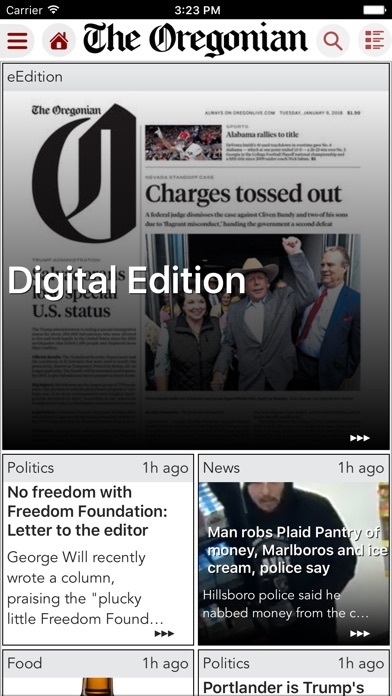 Politically, I am an independent, but the Oregonian, like most of the newspapers in the U.S., is extremely biased toward ultra liberalism news and editorials. I continue to subscribe because I want to support my local paper, but this app needs some work. The #1 improvement would be if it just kept me logged in. I've forgotten my login info and I don't see how to reset, but I can fix it for awhile if I go thru the apple procedure to look at subscriptions in settings.